TIM having the vision of “to render the change is to design the future” acts to insure the coordination between the public and private sector organizations and exporters and decision-makers. TIM working with the objective of being a solution center for the export issues establishes policies towards the development of the export in addition to representation duty. Roof organization of Turkey’s export: TIM as the roof organization of the exporting firms around 52,000 was established in 1993. It continues its studies on legitimate basis as the professional organization of the firms involved in foreign trade. TIM organized as a general secretary organization as being the upper organization of the unions of exporters is represented by the Chairman. Municipal Communication Center to cover the citizens’ requests coming from several channels such as call center, face-to-face meetings, e-mail, fax, post office, social media, online chat, etc. Support Card as a centralized social aid system for poor citizens that they can get shopping credits on predefined periods and make their shopping at market with their personalized RFID cards. Online Ticket System for Culture and Arts Center of municipality that citizens can reserve and buy online tickets from Internet and get QR-Code supported thermal tickets from KIOSK devices. Full HD City Security Monitoring System for Başakşehir City Police Department that they can monitor highly crowded places to prevent criminal activities via Full HD cameras and a fiber-optical infrastructure with great bandwidth. Smart Garbage Collection System that is illustrated with ultrasonic underground trash boxes capable of measuring the occupancy rate and send the real-time data to the command center for direct the garbage truck efficiently due to the occupancy rates. To incubate entrepreneurs/starters and ensure that successful new products and services are developed and new businesses are created. To improve the knowledge of the population in the areas of ICT and Design. Bahçeşehir University or BAU is a new university established in 1998. Presently the University consists of 8 Faculties, 1 School of Languages, 2 Vocational Schools. It has 17.048 registered students and 1047 academicians. It has more than 190 international partners. The university provides more than 100 programs. Bahçeşehir University was given the “Superbrands of Turkey” award in 2007. BAU gives education to over a thousand foreign students and it has campuses in Istanbul, Berlin, Rome and Washington DC. StartersHub is a world-class platform offering startups everything they need under one umbrella, including extensive know-how and network, multi-stage funding, services, strategic partnerships, hands-on mentorship and an inspiring workplace with its 1,000 square meter facility at the heart of the business district in Istanbul. It empowers startups from Europe, Middle East, North Africa (EMENA) and Commonwealth of Independent States (CIS) regions. StartersHub is backed by a 22 million TL investment partnership with MV Holding and Gedik Yatırım as the main investors. Their partners include Netmarble, BAU, Microsoft and Borsa Istanbul. StartersHub invests in multiple stages from seed capital of $15K to later stage investments of $250K and more, including co-investments with their partners and access to their VC partners. This way, both an entrepreneur with a bright idea or a revenue-generating business owner can apply to StartersHub and get their support. Startupbootcamp was founded in 2010 in Copenhagen with the core idea of supporting the world’s best entrepreneurs as they grow their startups. With 12 programs in 9 locations, it became Europe’s biggest and world’s second biggest acceleration program in 2014. * 241 startups has been accelerated under Startupbootcamp so far, 71% of those received investments with an average of €600K. Global partners include Google, Samsung, Amazon Web Services, Intel, Salesforce, PayPal and Deutsche Telekom. Startupbootcamp İstanbul held its first class in 2014. For their 2015 program, they received 500+ applications from 118 cities, 63 countries and 6 continents. There are no sectoral or geographical limitations, which means the program is open for any eligible tech startup. In addition to Turkey, Startupbootcamp Istanbul especially aims to cover MENA and CIS regions. Startupbootcamp offers startups €15K, 3+3 free office space (at either StartersHub, BAU Beşiktaş or Başakşehir Living Lab) and most importantly direct access to their global mentor and investor network (which includes VC branches of Samsung, Intel and Deutsche Telekom). In addition to the standard Startupbootcamp package, 2015 alumni will have a chance to receive up to $250K through StartersHub. İstanbul Design Factory, founded in 2013, is a young design agency. We create design solutions in various fields like architecutural design, interior design, product design, graphic design and user experience design. Our philosophy is to create unique and strong solutions for each unique design problem. We believe that good design increases the quality of our daily life and brings solutions to our daily problems.Ourteams includes talented architects, product designers, graphic designers and academicians with vast research and field experience. We believe that good design should be based on research. That’s the reason why we are working with organizations like Basaksehir Living Lab, CSC foundation and Starters Hub where we find the opportunity to reach out to the real users. One of our missions is to create awareness in the society toward design and to encourage their creativity. To that end, we conduct open-house workshops for participant groups varying in age, profession and education level. Fongogo is a market place for crowd funding the needed finance for projects. Project owners provide the supporters with products and services they develope from projects. Fongogo is a platform that enables Project owners to create their project pages and run campaigns while providing the system for fund collection. TTNet is one of the leading Internet Service Providers of Turkey with more than 1 million customers. TTNet is the leader in high speed FiberNet and HyperNet customers. TTNet is a relatively new company formed in 2006 and is a group company of Turkish Telecom. Other than providing Internet Services TTNet is a provider of Smart TV services called Tivibu, WiFi hotspots over TTNET WiFi, mobile services and cloud services. The company develops innovative value added services through through enterprenuers that apply to their Technology Valley project evaluation and funding model. 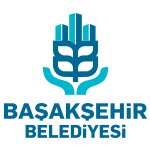 As Başakşehir Living Lab’s main sponsor enterprenuers off TTNet use the Living Lab for development and user experience.